If you're evaluating your current relationship based on the guidelines listed below, keep in mind that these are ideals to strive for. They are standards that can spark productive conversation with your partner. It's even harder to confirm you've found it when you think you have it. If you're not currently in a relationship, my goal is to offer you guidelines for what you should you be looking for in a romantic partner. Keep in mind that true love often starts out as ordinary love in the beginning of a relationship, and the bond evolves into something wildly powerful. So, what does true love look like in real life? Let me start by saying that true love requires two open hearts and perfect timing. Now let's get a little fancier than that. A smart starting point for identifying true love is to examine the ratio of words to deeds in your relationship. Many people hide behind the words "I love you." They believe that if they repeat these words often enough, they can get away with a minimal amount of loving actions. On the flip side, many people avoid saying "I love you" and they try to compensate for a lack of verbal affirmation by demonstrating through other expressions of love. I wouldn't call that true love, either. It's quite common to say "I love you" to your partner, but true love is about "doing" I love you. Think of true love as the perfect marriage of words and deeds. The ratio of words to deeds I recommend is about one verbal expression for every three loving actions per day. That is, for every "I love you," you should demonstrate your love for your partner through three behaviors. This 1:3 ratio will cover all the possible ways that people decide they feel loved. Love is primarily a verb, a movement, a doing for another. Love is, to a lesser extent, a verbal expression. To give you an even more robust measure of true love, see if your relationship contains what I consider to be six qualities of true love. You need all six for your relationship to qualify as "true love." Keep in mind that in order to gauge true love, you have to be past the infatuation phase in the relationship. You need a strong awareness and acceptance of your partner's strengths and weaknesses to make this determination. If you're only idealizing your partner and you ignore his or her weaknesses, you're not yet at a place to make a solid determination of true love. You and your partner are not usually mindful of any sacrifice involved in unsolicited acts of giving to one another. Neither of you are keeping score of the number of loving deeds you do for one another. Neither of you make a habit of withholding love and affection as a manipulative tool for teaching each other a lesson. You're both motivated to check with one another on the state of your union. You feel motivated to make adjustments that better the relationship. Following any disagreement or life-changing event, you put your heads together and come up with new and necessary agreements/commitments to each other and the relationship based on lessons learned. Both partners are wholeheartedly committed to each other's health, happiness and personal and spiritual growth. This commitment is demonstrated through actions, not words. You're both faithful to one another on all levels, not just in terms of physical intimacy. Your partner is your only source for satisfying whatever mature, romantic love is for you. You're both willing to be fully vulnerable with one another and have an intrinsic interest in lifelong learning about the other. Both of you have an investment in monitoring the quality of quality time spent together. 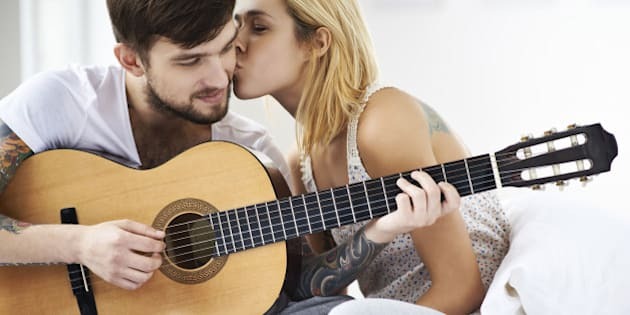 You both feel authorized to point out when you feel neglected by your partner in terms of quality emotional connection and attention. Both partners are willing to make adjustments when one partner feels this neglect (e.g., a wife feels like she has to constantly compete with her husband's phone for his attention). I hope this helps you to decide whether you have true love, or what an ideal relationship looks like. Think of true love as something to strive toward, but know that it can happen for you if you and your partner are wholeheartedly dedicated to building the relationship.